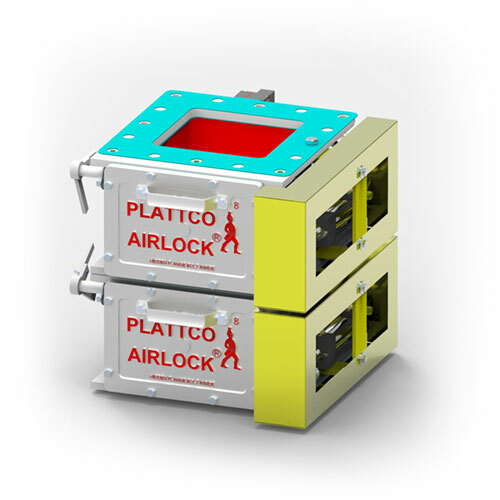 The primary reason companies buy Plattco double flap valves is the airlock technology - essential to having a tight production system. 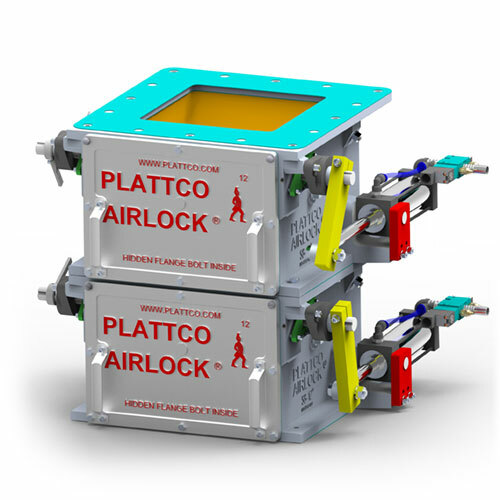 Plattco double flap airlock valves are designed to create a seal that will eliminate emissions, tramp, and fugitive air into your systems, while continuing to convey dry material. Double flap airlock valves are most commonly used in industrial applications for dry, bulk material handling applications, ranging from fine powders to chunky, odd-shape large particles with various types of equipment operating under positive or negative pressure. The primary purpose is to discharge a flow of material while maintaining an airlock at a transition point, preserving the pressure differential above and below the valve in the system. 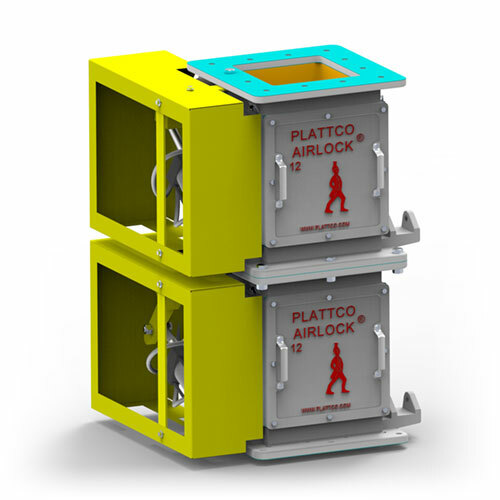 Plattco Double Flap Airlocks are superior to alternatives for bulky or abrasive materials that would jam or damage a rotary airlock. 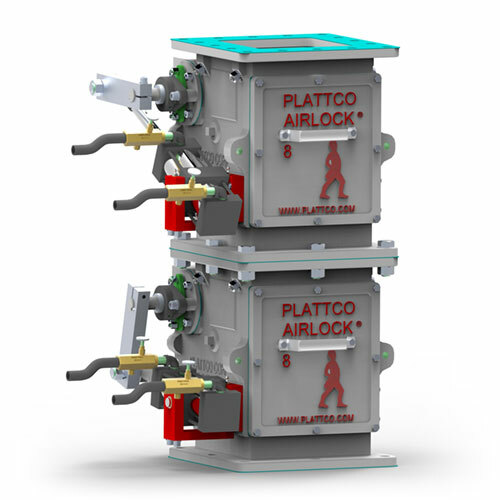 Plattco Double Flap Valves operate using two distinct chambers. First, the top chamber opens to allow collected material to drop through into the bottom valve. The top valve then re-closes to prevent leakage of fugitive and tramp air through the valve. Second, the bottom chamber opens to allow material to pass completely through the valve to the system below. The bottom valve then re-closes to prevent leakage of fugitive and tramp air. Then, it continuously cycles to maintain a steady flow of material and maintaining a positive seal on the system. One valve is always in the closed position, which allows the Plattco double flap airlock valve to maintain a positive seal. Propriety Seat and Flapper design, precision machined flat to eliminate air leakage and allow for infinite renewability in-line. Every application comes with a unique set of needs. Factors like material characteristics, velocity, flow rates, temperatures, particle size/shape, particle hardness, and system design are all evaluated and optimized by our skilled engineering staff, allowing you to reap the benefits of customization of any of our (4) standard models. Our Capacity Chart will help you select the exact valve which will handle the amount of material your application demands.